"We need to know what's in the chest." 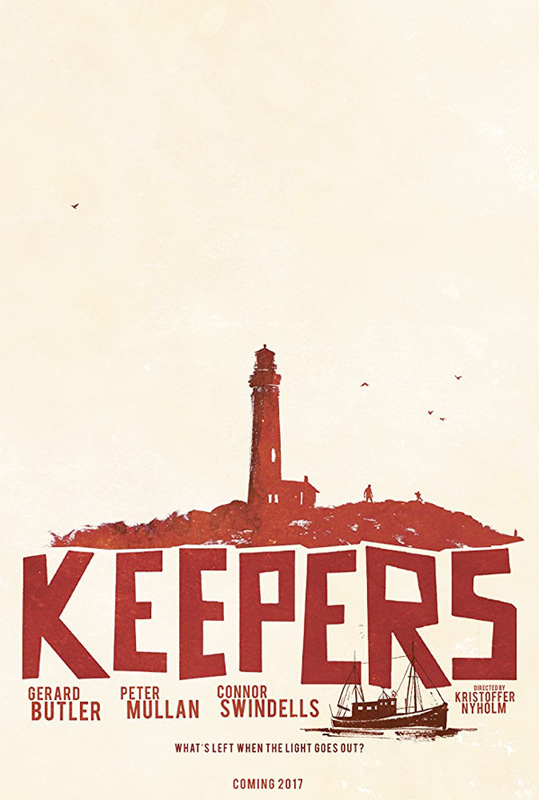 Saban Films has debuted the first trailer for an indie thriller titled The Vanishing, formerly known as Keepers. This just premiered at the Sitges Film Festival in October, though it's more of a psychological thriller than anything fantastic. The film takes place on an uninhabited island 20 miles from the rugged Scottish coast, where three lighthouse keepers arrive for their shift. After an encounter with a boat that washes ashore, their quiet existence is entirely disrupted. What follows is a tense battle for survival, fed by isolation, paranoia & greed, leading three honest men down a path to destruction. 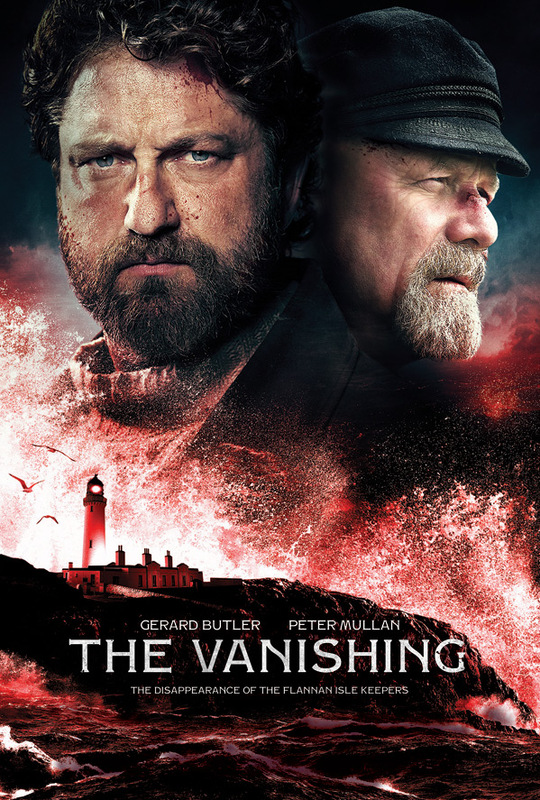 Starring Gerard Butler, Peter Mullan, Connor Swindells, with Ólafur Darri Ólafsson and Gary Lewis. I saw this in Sitges and did not much care for it, even though it starts strong. Worth a look anyway. On an uninhabited island 20 miles from the rugged Scottish coast, three lighthouse keepers arrive for their six-week shift. As they settle into their normal quiet routine, something unexpected, and potentially life-changing occurs - they stumble upon gold. What follows is a tense battle for survival, fed by isolation, paranoia and greed, leading three honest men down a path to destruction. 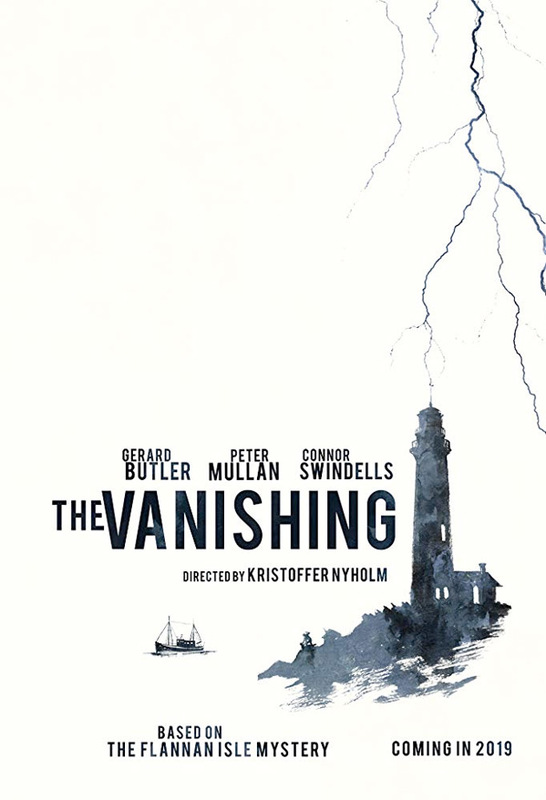 The Vanishing, also known as Keepers, is directed by Danish filmmaker Kristoffer Nyholm, making his feature directorial debut after working in TV for many years prior directing for shows including "The Killing", "The Enfield Haunting", and "Taboo". The screenplay is written by Joe Bone and Celyn Jones. This premiered at the Sitges Film Festival this fall. Saban Films will release Nyholm's The Vanishing in select US theaters starting in January 2019.